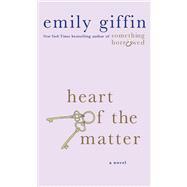 EMILY GIFFIN is the author of six New York Times bestselling novels, including Something Borrowed, which has been adapted as a major motion picture. A graduate of Wake Forest University and the University of Virginia School of Law, she lives in Atlanta with her family. To learn more, visit www.emilygiffin.com.